This year I’m approaching my 15th year with Eat’n Park Hospitality Group. Through the years, I’ve been involved in some really exciting projects and events, and this year is no different! 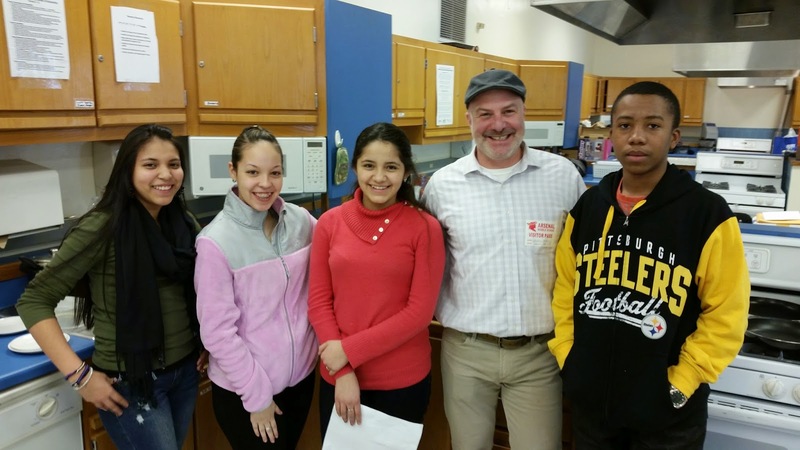 I was recently approached by Community Kitchen Pittsburgh to volunteer for Project Lunch Tray, a cooking competition encouraging and inspiring kids to think outside the typical lunch box food and advocate for better school food. 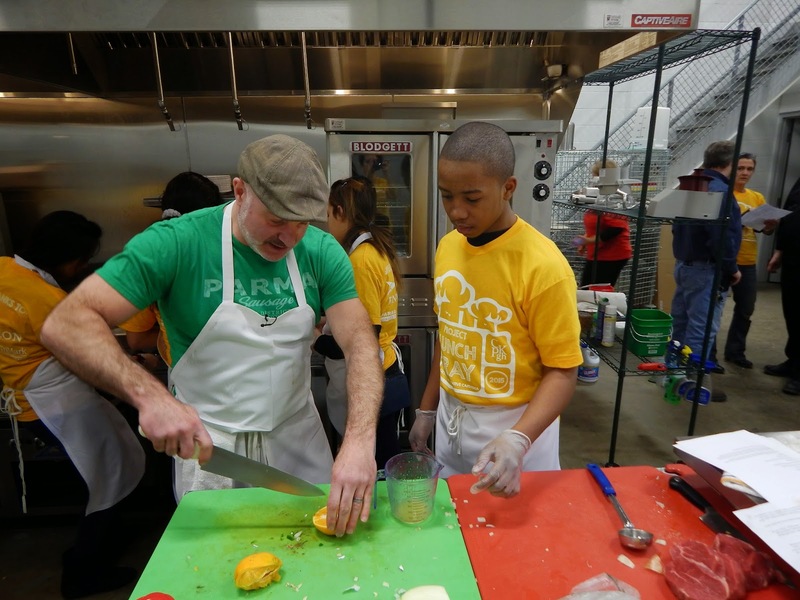 The competition paired eight teams from Pittsburgh Public Schools with various chefs across the city to create delicious, healthy, kid-friendly school lunch recipes. As a volunteer, I was a mentor to four 7th and 8th graders from Arsenal Middle School: Thomas (8th grade), Catarin (7th grade), Karen (7th grade) and Karina (8th grade). We started Project Lunch Tray by meeting at Arsenal Middle School to discuss what recipes we wanted to use in the competition. I brought 12 recipe ideas, but none of them were selected because each student had a different outlook on what they liked and what they wanted to see being offered. These young chefs had a vision of their own! Ultimately, we decided on a beef quesadilla and butternut squash quesadilla for our main courses and black beans and rice and quinoa with pumpkin and black beans for our sides. Next up was a practice cooking competition at the Pittsburgh Public Market in the strip district. Each team prepared their dishes and gave out samples to customers. The final competition was held during the Farm to Table conference where a panel of judges, as well as conference attendees, voted on each dish. Though the official winner was Propel Braddock Hills, I think that every participant came out ahead. In fact, my team is starting a cooking club at their school! I can’t wait to see them use the skills they learned for many years to come.